The earliest known mentions of Wing Chun date to the period of Leung Jan (1826—1901). The common legend as told by Man Ip involves the young woman Yim Wing-chun, (Wing Chun literally means 'forever springtime' or 'praising spring',) at the time after the destruction of the Southern Shaolin Temple and its associated temples by the Qing government. 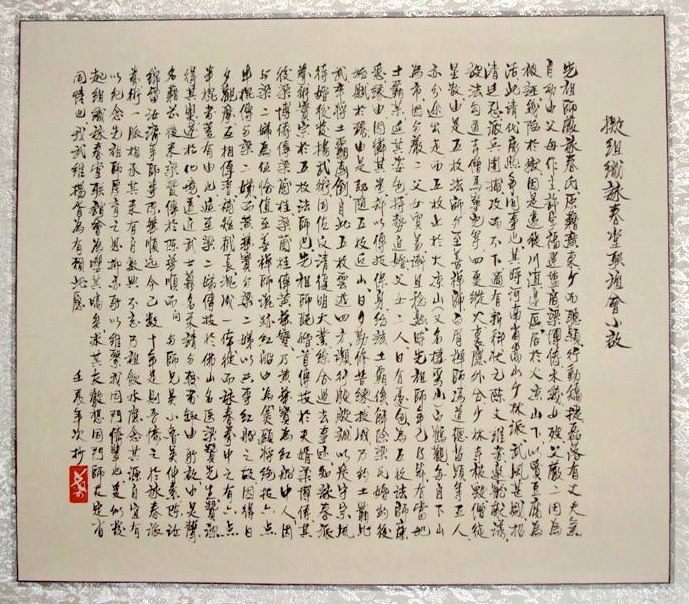 The text in Chinese was a rough draft written by the late Grandmaster Ip Man and was supposed to be the preface for the purpose of organizing the “Ving Tsun Tong Fellowship” once upon a time. However, the Ving Tsun Tong Fellowship had never been in existence. Instead, the “Hong Kong Ving Tsun Athletic Association” was finally established on 24, August 1967. 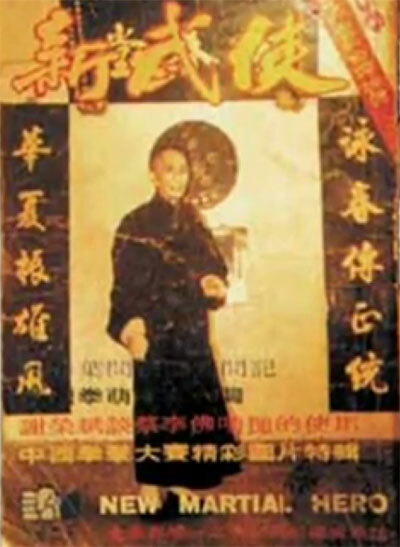 The founder of the Ving Tsun Kung Fu system, Miss Yim Ving Tsun, was a native of Canton China. As a young girl, she was intelligent and athletic, upstanding and manly. 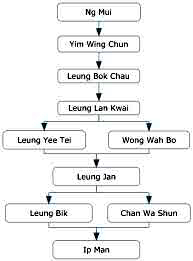 She was betrothed to Leung Bok Chau, a salt merchant of Fukien. Soon after that, her mother died. Her father, Yim Yee, was wrongfully accused of a crime, and nearly went to jail. So the family moved far away, and finally settled down at the Yunnan-Szechuan border. All this happened during the reign of Emperor Kiangsi (1662 – 1722). 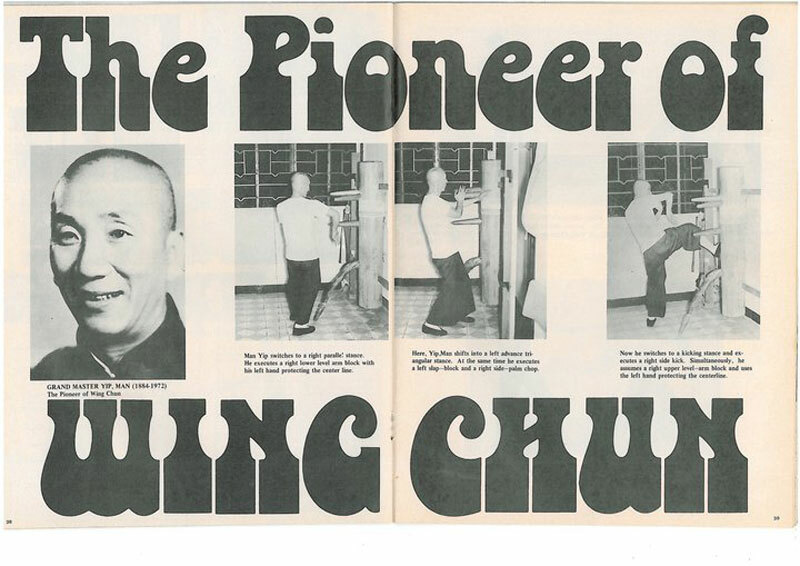 At the time, Kung Fu was becoming very strong in Siu Lam Monastery (Shaolin Monastery) of Mt. Sung, Honan. This is during the fear of the Manchu government, which sent troops to attack the monastery. They were unsuccessful. A man called Cahn Man Wai was the First Placed Graduate of the Civil Service Examination that year. He was seeking favour with the government, and suggested a plan. He plotted with Siu lam.monk Ma Ning Yee and others. They set fire to the Monastery while soldiers attacked it from the outside. Siu Lam was burnt down, and the monks scattered. Buddhist abbess Ng Mui, Abbot Chi Shin, Abbot Pak Mei, Master Fung To Tak and Master Miu Hin escaped and fled their separate ways. Ng Mui took refuge in White Crane Temple on Mt. Tai Leung (also known as Mt. Chai Har). 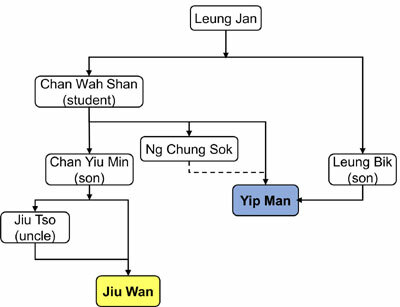 There she came to know Yim Yee and his daughter Yim Ving Tsun. She bought bean curds at their store. They became friends. ​ Ving Tsun was a young woman then, and her beauty attracted the attention of a local bully. He tried to force Ving Tsun to marry him. She and her father were very worried. Ng Mui learned of this and took pity on Ving Tsun. She agreed to teach Ving Tsun fighting techniques so that she could protect herself. Then she would be able to solve the problem with the bully, and marry Leung Bok Chau, her betrothed husband. So Ving Tsun followed Ng Mui into the mountains, and started to learn Kung Fu. She trained night and day, and mastered the techniques. Then she challenged the local bully to a fight and beat him. Ng Mui set off to travel around the country, but before she left, she told Ving Tsun to strictly honour the Kung Fu traditions, to develop her Kung Fu after her marriage, and to help the people working to overthrow the Manchu government and restore the Ming Dynasty. This is how Ving Tsun Kung Fu was handed down by Abbess Ng Mui. ​ After the marriage, Ving Tsun taught her Kung Fu to her husband Leung Bok Chau, and he passed his Kung Fu techniques on to Leung Lan Kwai. Leung Lan Kwai passed it on to Wong Wah Bo. Wong Wah Bo was a member of an opera troupe on board a junk, known to the Chinese as the red Junk. 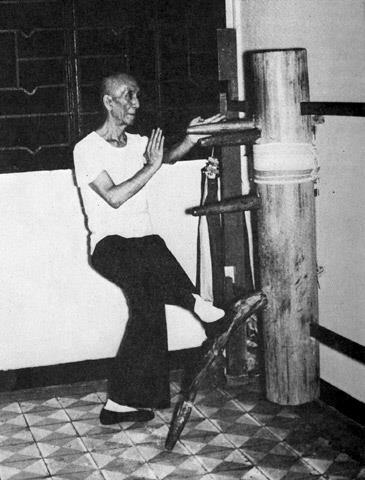 Wong worked on the Red Junk with Lenug Yee Tei. It so happened that Abbot Chi Shin, who fled from Siu Lam, had disguised himself as a cook and was now working on the Red Junk. 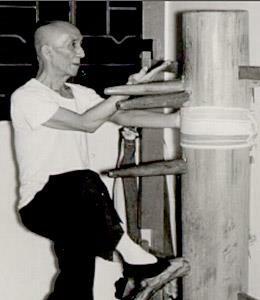 Chi Shin taught the Six-and-a half Point Long Pole Techniques to Leung Yee Tei. Wong Wah Bo was close to Leung Yee Tei, and they shared what they knew about Kung Fu. Together they correlated and Improved their techniques, and thus the Six-and-half-point Long Pole Techniques were incorporated into Ving Tsun Kung Fu. ​ Leung Yee Tei passed the Kung Fu on to Leung Jan, a well known herbal doctor in Fat Shan. 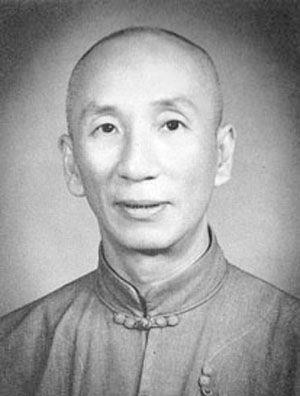 Leung Jan grasped the innermost secrets of Wing Tsun, and attained the highest level of proficiency. Many Kung Fu masters came to challenge him, but all were defeated. Leung Jan became very famous. 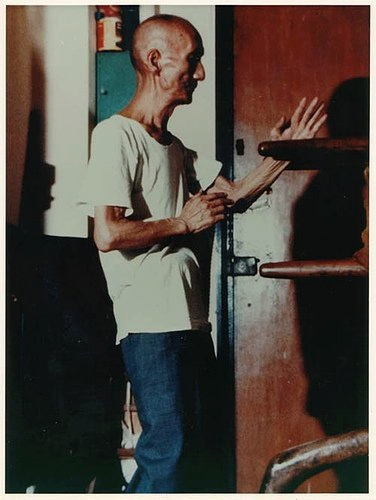 Later, he passed his Kung Fu on to Chan Wah Shan, who took me as his student many decades age. I studied Kung Fu alongside my Kung Fu brothers such as Ng Siu Lo, Ng Chung So, Chau Yu Min and Lui Yu Jai. Ving Tsun was thus passed down to us, and we are eternally grateful to our Kung Fu ancestors and teachers. We will always remember and appreciate our roots, and this shared feeling will always keep our Kung Fu brothers close together. This is why I am organizing the Ving Tsun Fellowship, and I hope my Kung Fu brothers will support me in this. This will be very important in the promotion of Kung Fu. 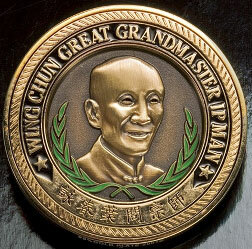 Ip Man’s SiFu was Chan Wa Tsun but he also learned from Leung Bik, son of Leung Jan. He also started at a young age but did not learn from Chen Yu Min, the son. 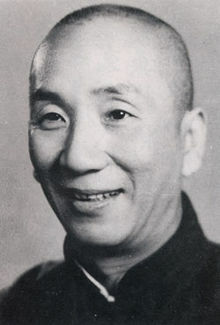 Chan Wa Tsun was a very good fighter and being the teacher of both Yip Man and Jiu Jow they were known for their great fighting skills. 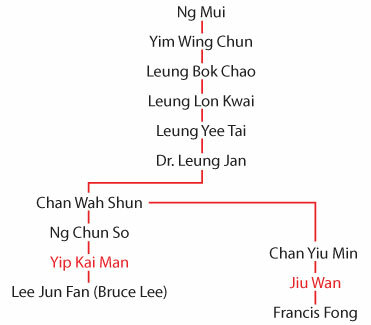 Some consider the lineage of Ip Man as 6th generation.